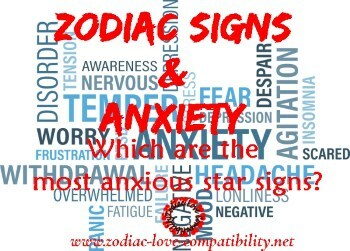 Zodiac Signs and Anxiety - Which Starsigns are the most and the least anxious? 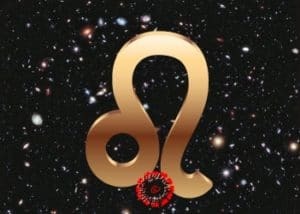 Discover all about Zodiac Signs and Anxiety! 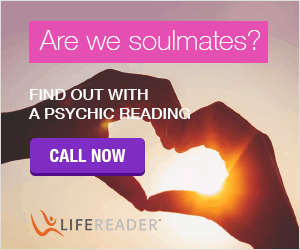 Which Astrology Signs suffer from Anxiety and are more likely to suffer from an anxiety and dating disorder? Aries usually has too much going on to ever get anxious. 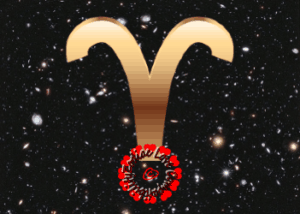 However, anxiety may just rear its head when Aries finds herself completely out of her element. Dating and anxiety is not normally an issue for Aries because she loves meeting new people and trying new things. However, if she finds herself dragged unwillingly into a negative environment, you’ll see a reaction from her that you didn’t know she is capable of. Taurus is generally resilient. 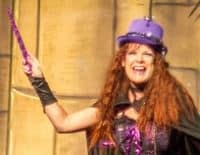 However, when she finally succumbs to anxiety, she cannot usually handle it. She will then isolate herself from her friends and family. I am Gemini born right on the Cusp with Taurus. When I get stressed I call it my “Hermit phase” and I just want to be totally alone. 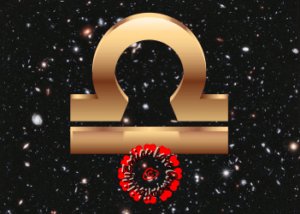 Gemini is one of the star signs that is most likely to have a dating and anxiety disorder. 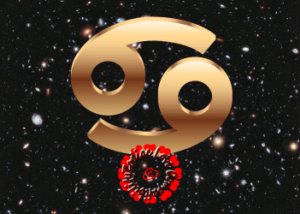 This is because there’s always something going on with Gemini! Their minds are constantly on the go and it is often running amok negative thoughts! Gemini is one heck of an indecisive individual. They also worry about disappointing friends and family through their choices. Ruled by the Moon, Cancer is totally in touch with her feelings. This means that the constant 24/7 swirl of emotions is draining. Cancer does not like surprises because she hates not knowing what’s going on. This makes her tense and anxious. I have two daughters that are Cancerians. The one who was born on July 01 has a serious need to always know what is happening. She plans everything in advance and then if plans are changed at the last minute it really throws her! Vibrant Leo just LOVES the spotlight. As a result social anxiety NEVER gets to her. Confident Leo has the ability to adapt to any social situation. 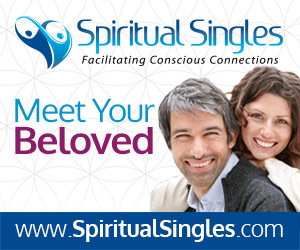 This means that while they may have a few first date jitters, they can handle almost anything. 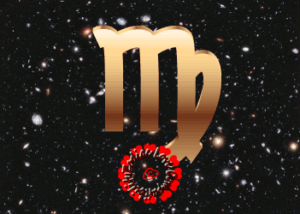 Virgo is prone to high anxiety every now and then. This is because she thinks WAY too much about stuff. 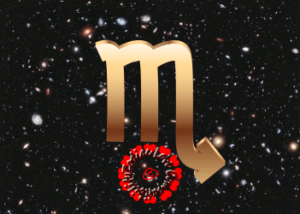 If Virgo is anxious she won’t rest until she thinks she has worked out why. 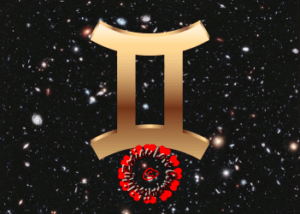 Libra has an permanent ongoing internal discussion with herself, which is constant. This is because she has a driven need to try to make the best decisions at all times. However, this leads to conflicts with her unconscious need to always put friends and family first. This in turn leads to anxiety. 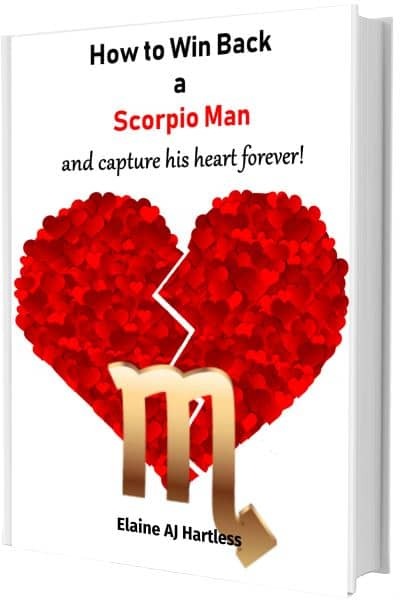 One of the more out-going Zodiac Signs, Scorpio is one of the least anxious. Yes, she will get anxious occasionally but most of the time she will keep it hidden as she is a master at managing her emotions. Social anxiety is not something that Scorpios suffer and dating and anxiety is very rare. 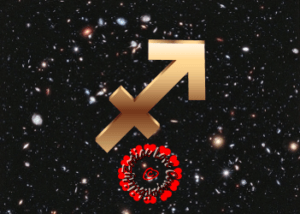 Carefree Sagittarius knows that life is made for enjoying and they are brilliant at making sure that negative emotions don’t last very long. If ever there was a star sign that lives to get as much out of each day as possible it is the Archer. This does not mean that they deny their emotions. They will acknowledge the feelings and then just stop thinking about it. 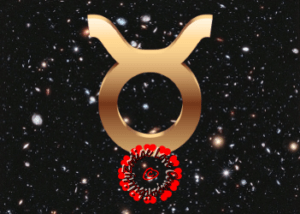 My husband is a Sagittarius and I envy his ability to shrug things off that are weighing him down! Another of the least anxious signs is Capricorn. This is because they usually have good control on their emotions. This can sometimes come across as cold and uncaring. This is not to say they NEVER feel anxious. However, they just know that it will pass sooner or later. Because she is an Air Sign, you would think that Aquarius would be one of the signs to experience quite a lot of anxiety. However, despite the fact that she doesn’t always like to be around people it is not due to anxiety. This is because she enjoys being alone. No sign never experiences anxiety. 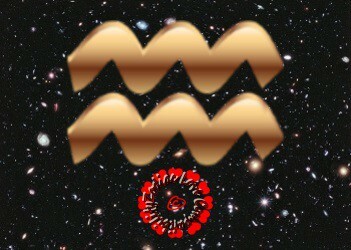 However, Aquarius is very adept at re-focusing her mind if anxiety ever does manage to creep in. Pisces is another emotional Starsign, like Cancer. However, the problems occur when she doesn’t always know how to handle her own emotions. 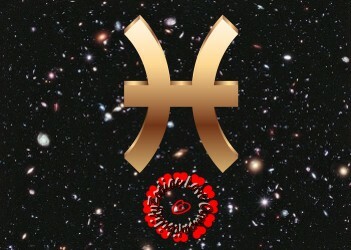 An emotion like anxiety can overwhelm Pisces. This means that she will convince herself that whatever is causing the anxiety is her own fault. 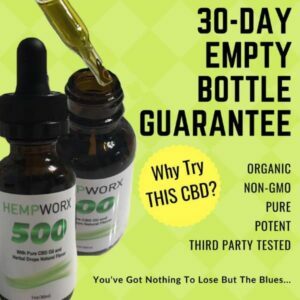 to try the most Pure CBD Oil out there! 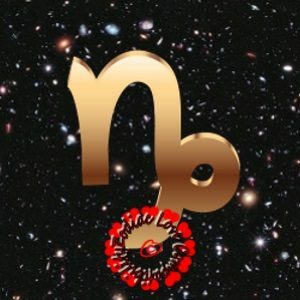 Starting with the starsigns most likely to get anxious and ending with the cool guys! 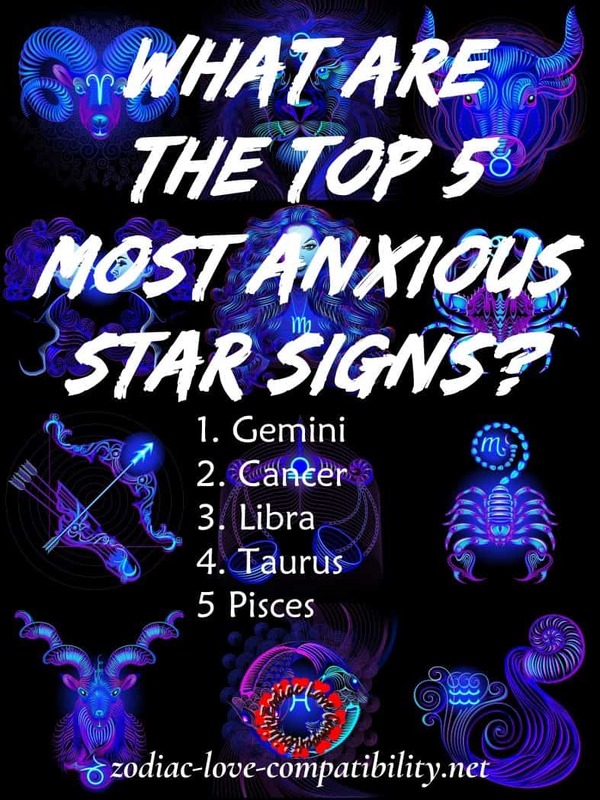 Do you agree that these are the least and most anxious star signs?